Chicago Bears quarterback Jay Cutler is dealing with a serious shoulder problem, and John Fox revealed just how serious the issue is on Thursday afternoon. According to Fox, Cutler will undergo shoulder surgery on Saturday, and as a result he will be placed on season-ending injured reserve. #Bears Jay Cutler will have labrum surgery on Saturday and be placed on IR. He's done for the year. 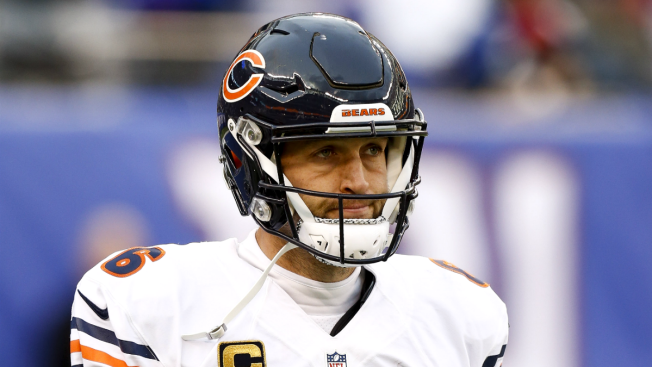 Cutler suffered a torn labrum in his throwing shoulder during a loss to the New York Giants two weeks ago. Originally Fox said that the injury wasn't anticipated to be season-ending, but after trying various rehab methods, the team has decided to go with surgery to repair the injury. With the surgery, there are fresh questions about whether it's the end of the road for Cutler in Chicago. The quarterback's contract becomes a lot easier to dump from the payroll after this season, and after eight seasons and only one playoff win, it's entirely possible that the team could decide to go in a different direction in the future. For now, Matt Barkley will continue to be the starter for the team, and David Fales will remain the back-up for the final five games of the season.